What really happened that terrible day in June 1994? Were all the passenger and crew assassinated? Why did MoD pay out millions to their loved ones ? Asst Chief Constable: BRIAN FITZSIMONS. Det Chief Superintendant: DESMOND CONROY. Det Chief Superintendant: MAURICE NEILLY. Det Superintendant: IAN PHOENIX . Det Chief Inspector: DENIS BUNTING. Home Office CB-57: JOHN DEVERILL. As you all know on the 4th of August 2010 I was told by Ms Tara Davison that the Chinook Crash was an inside job that had been arranged from the office of the DTI. I understood that she was not involved in this accident but the department she had been associated with had been responsible for arranging it. After working on this crash for nearly two months it became apparent to me that she could well have been correct because nothing that had taken place that day had made sense. It was on the 7th of October 2010 that Gordon and I went don’t to the Derby Police HQ, St Mary’s Wharf, Derby to have this new evidence recorded under oath but the police refused to do so. However, Gordon was eventually allowed to give some brief details and an incidence number was given 620 of 07/10/2010 in the presence of two DC’s……I would add at this stage that I was never interviewed even though I was the prime evidence provider. Another DC by the name of Ahmed took over the case on the 12/10/2010 to discuss the case and eventually passed it on to the MOD and that the matter was no longer a police matter. After investigating the tragic accident of a long period of time I realised that some interest had been made towards my articles and I was starting to get some feedback. 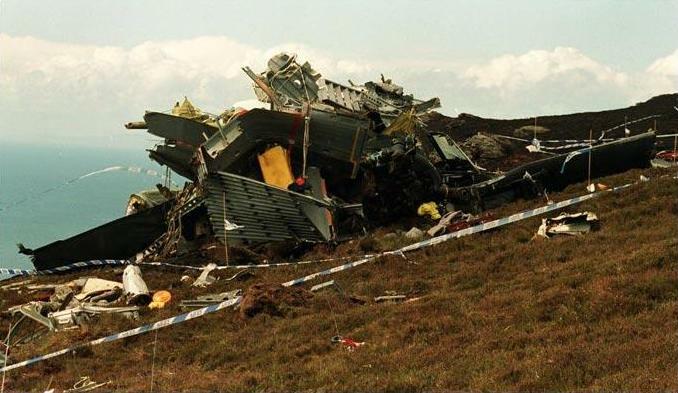 On the the 19th/20th of May 2011 I recieved a message stating that an assassination hit squad was responsible for the crash of Chinook ZD576 at the Mull of Kintyre on the 2nd of June 1994. The following day I was told the following “The pathologist a “she” who carried out an examination of all the bodies reported at that time that they all died from extensive gunshot wounds. I spent most of Friday going over everything and just putting my own mind at rest that this could be the true reason behind this terrible event. Later I again spoke with Gordon Bowden and we both decided that we would go to the police tomorrow Saturday 21st May 2011 to open up our previous file with this additional input (Incident No 620 07/10/2010). However, no one was available(too busy watching rugby) and so eventually we managed to see another couple of DC’s on Monday the 22nd of May 2011 and insisted they took the report from use……….after this I again sent more evidence to the Review Team in Scotland. Gordon and I having carried out our duty of care basically left it at that but this week I further investigated this tragic incident to now find out that the government had basically tried to pay off the relatives of the victims. I also found some interesting information that would indicate some sort of possible collusion between the Royal Ulster Constabulary (RUC) and the British Intelligence Service as well as some possible activity by the IRA etc………it was also a well know fact that the US were applying lots of pressure on our government to resolve this rather long conflict. Add to this the fact that it was broadly know that the certain groups within the US were financially supporting the IRA. So lets now look into the claim that some, if not all, of the relatives have now received damages in out of court settlements and if so one would have to ask the question why? 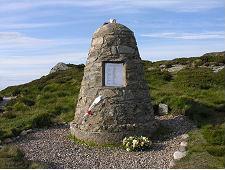 The Ministry of Defence (MoD) has paid almost £8 million in compensation to the relatives of 17 top intelligence officers killed in the Chinook helicopter crash in Scotland, in June 1994. The information was revealed after Delyth Gregory-Smith,the widow of an Army intelligence officer, accepted an undisclosed out-of-court settlement (believed to be in excess of £500,000) on 16 June. 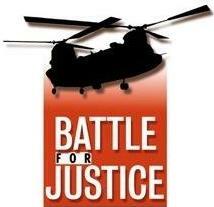 Twelve of the 29 claims against the MoD have still to be settled. If the present rate ofcompensation is maintained, payments will eventually exceed £14 million. The twin-engined, recently-modified Chinook Mk2, with 25 passengers and four Royal Air Force (RAF) crew, had been travelling from RAF Aldergrove, in Belfast, to a weekend conference of intelligence and anti-terrorist experts at Fort George, in Inverness, accoring to the MoD, when it failed to clear the mist-covered, 240- meter high Torr Mor on the Mull of Kintyre. Mrs. Gregory-Smith sued the MoD claiming the helicopter had been flying too low in poor visibility and had ascended to rapidly in an attempt to clear the rocky outcrop when the crash happened. The Chinook had been fitted with a computerized automatic pilot, called a Mission Management System, which,using a set of vectors and other flight data, allows pilots to sit back and fly by computer. Lieutenant-Colonel Richard Gregory-Smith, of the Army Intelligence Corps based at Army Headquarters, in Lurgan, County Armagh, could have expected to reach the rank of full colonel by January 1996, and eventually brigadier. He was posthumously awarded the Queen’s Commendation for his covert work in Northern Ireland. The agreement on compensation for loss of earnings and bereavement was reached as the case was about to be heard by the High Court in London. The MoD had not contested the claim, but had failed to reach agreement on the amount of damages. Later an MoD official, Ian Burnett, said his department was satisfied with the outcome, especially asMrs. Gregory-Smith had not been required to take the witness stand. That basically was the end of the brief and naturally of course, the settlement also meant that no MoD officials were called to give evidence or face cross examination and, as a result, the cause of the Chinook crash still has not been properly explained. When one looks into the information that I have since received re the cause of death and also the additional information obtained from people in Northern Ireland it is very clear that the MoD certainly had something to cover up and had to address the situation as a matter of urgency. For my part I would also like to comment on the fact that up until more recent times the MoD and the RAF have maintained their stance that this was pilot error and therefore if this was their belief why would they pay out damages to all the relative when the MoD/RAF were not responsible for the accident? One should also add to this that Boeing have said little about this accident and that evidence to date would indicate that this was no accident and it would appear was not caused by any in flight failure. All concerned said that up until the arrival at Waypoint Alpha, the crew had full control of the aircraft and that everything appeared to be operating normally. I now have some extremely serious doubts as to if this was in actual fact the case, based on by previous article Part 4 which clearly indicates that the crew may have been totally disabled prior to this turning point and may have indeed been dead. If this was the case then the Chinook would have continued on its existing heading (on auto pilot) and then ploughed into the high ground. It is obvious that one can only summise at the moment and therefore until Ms Andrea Davison is pulled in for questioning it would be impossible to proceed further on this new review. There are also some very grey areas regarding what was this second Chinook doing that was observed in the general area, what was the status regarding a second radar contact in the vacinity at the time, Why was there a total failure to maintain communications with the Chinook and why were 25 high profile passengers all loaded onto the one helicopter. Now lets look at the intelligence side in Northern Ireland who who was believed to be doing what at the time? It has been longed talked about that British Intelligence were deeply involved with formal bodies in Northern Ireland and in some cases with key individuals. This relationship was believed to be with both the Ulster Defence Association (UDA) and the Royal Ulster Constabulary (RUC). It was also fact the MI5 were deeply embeded in the embassy in Dublin and one could only assume that they would change the colour of their coats many times. It was also fact that Jack Phoenix who died on the Chinook also played a rather unusual role in the conflict. We should also point out that during the Northern Ireland conflict there was a lot of activity by special forces that involved the US Navy Seals – Royal Navy – Green Berets and the SAS, monitored closely by the CIA and MI5. One ex SAS man described that they were ordered to carry out despicable, cowardly acts, killing 40 people. Stirring up trouble was the key to keeping the security forces in Northern Ireland and lessening the likelihood of peace or rather a United Ireland breaking out. It was also know that frequently these clandestine operations would take out the wrong guy. Don’t you find it remarkable that in todays world the US would normally intervene in such conflicts but turned a blind eye to the way Britain was running this conflict. As one SAS man put it there was a policy of shoot to kill and he certainly beleived that his insctructions were certainly not coming from the SAS High Command and it was believed that MI5 ran the entire murder programme. So again we come back to these black operations and ask the question who was involved in the shooting of the passengers and crew of Chinook ZD576 and what role did the other Chinook play in this event? It is very clear that there certainly is a case to answer and one may never know what goes on behind closed doors but it is clear that little snippets of information keep coming my way from people who were directly or indirectly aware of the happenings on that tragic day – 2nd of June 1994. I find it very distressing that relatives of the deceased would accept money from the MoD/RAF rather than persue justice for their loved ones who died at the hands of an assasination group. Were they US Navy Seals?……it certainly points a finger in that direction…..especially the fact that when the RAF crews arrived at the scene the crash site was overrun by Americans……odd don’t you think? One thing for sure, we may never know how this was pulled off but the clue has to be the second Chinook and the testimony of Ms Tara Andrea Davison……..don’t hold your breath for the truth……remember that transparency by the government means looking through a one way mirror!! « Pandora’s Box – What happens when you expose massive fraud?